The former Fuddruckers space in Mira Mesa Mall will be subdivided to become the second area locations of both Orange County-based California Fish Grill and famed Filipino fried chicken chain Max's Restaurant. 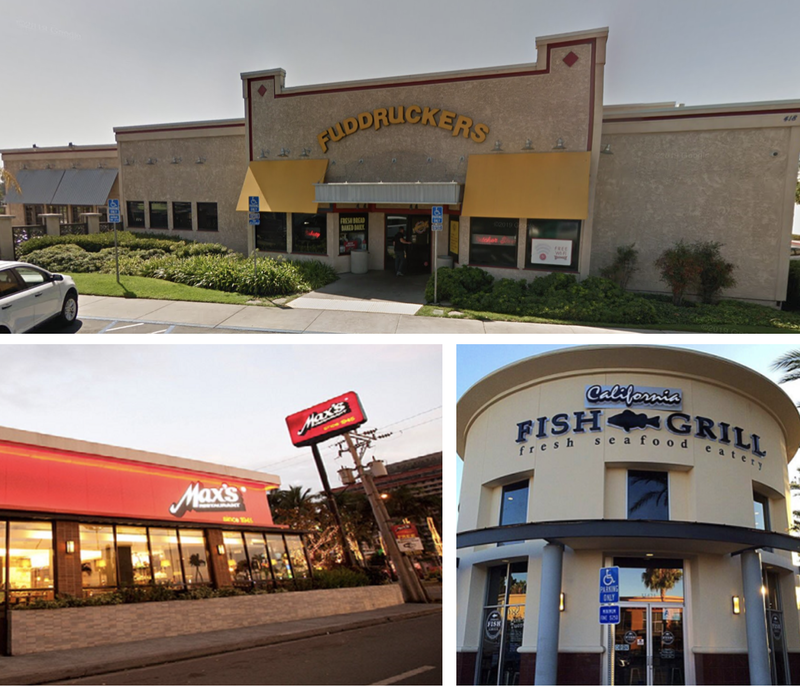 The dwindling chain of burger restaurants known as Fuddruckers have closed half their San Diego locations in the past year, with the only two branches remaining in operation in La Mesa and Chula Vista. The Mira Mesa location, which was in operation for more than 20 years, closed earlier this month and will soon be partitioned to become two units. California Fish Grill - which was first founded in Orange County, CA, in 1998 and opened its first San Diego location in 2017 - will take half of the former Fuddruckers space. California Fish Grill is a counter-service eatery centered around affordable seafood offerings. Known for its seafood tacos, the menu has a variety of charbroiled and fried seafood dishes, including taco combos, chowders and salads. The Mira Mesa location will also serve beer and wine. The other side of the space will be occupied by a second area outpost of Philippines-based Max's Restaurant. The Filipino fried chicken destination, which started in 1945 and currently has more than 200 locations around the globe, also has a branch in Chula Vista. In addition to the famous fried chicken, Max’s also offers traditonal Filipino fare like Pancit noodles, Lumpia egg rolls, Adobo marinated meats and Halo Halo shaved ice. Both California Fish Grill and Max's Restaurant will open at 8285 Mira Mesa Boulevard by year's end.